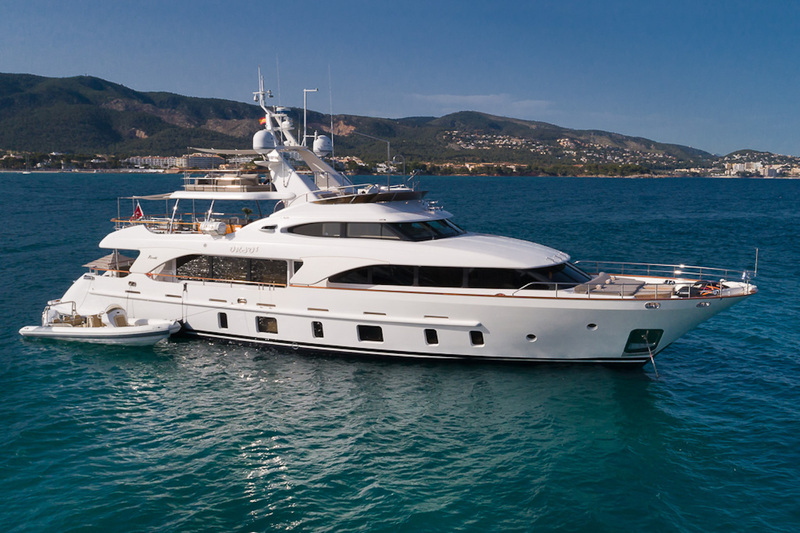 Launched in 2013, luxury motor yacht ORSO 3 is a superb Benetti Tradition 105 vessel, built by the prestigious Italian manufacturer, Benetti. 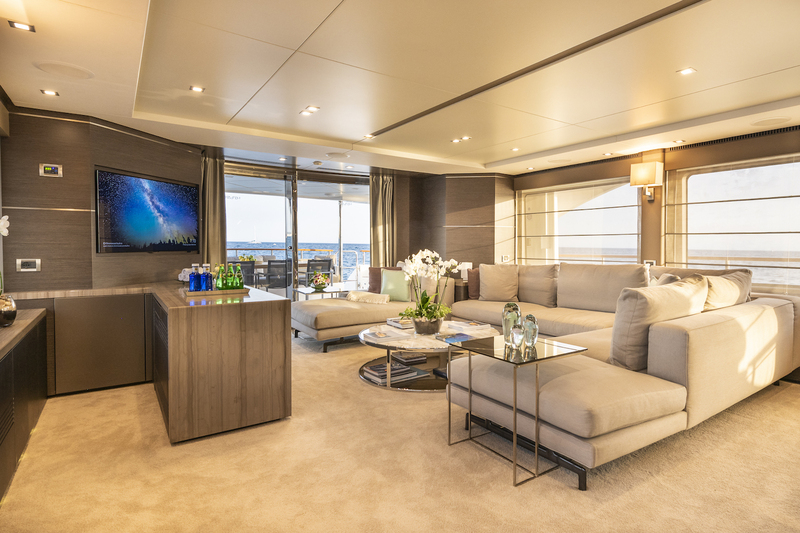 Superyacht ORSO 3 has been magnificently designed by bespoke Stefano Righini and offers accommodation in five staterooms for up to twelve charter guests. 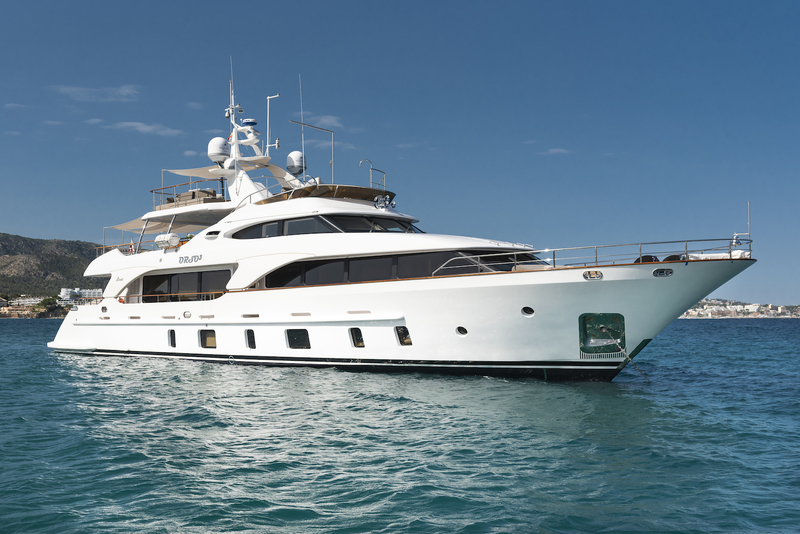 She has a professional and highly-skilled yacht crew of six. 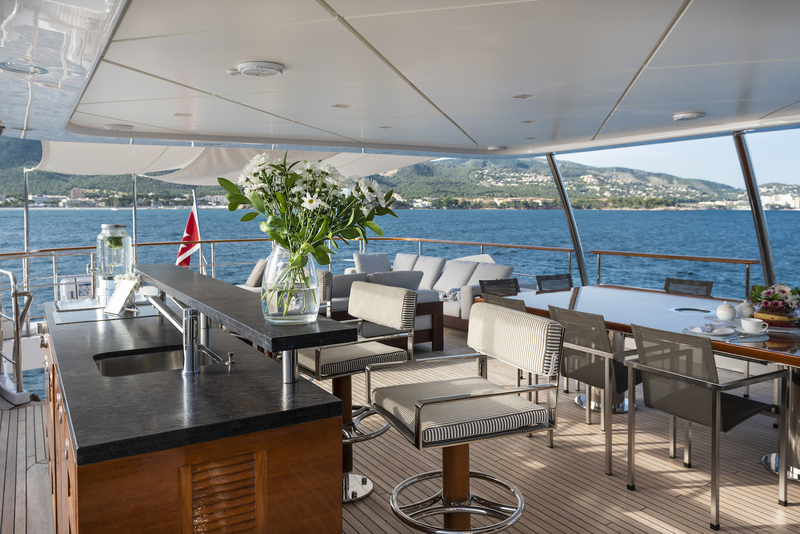 The main deck features a large saloon with a casual open-plan seating area which leads to the aft deck. 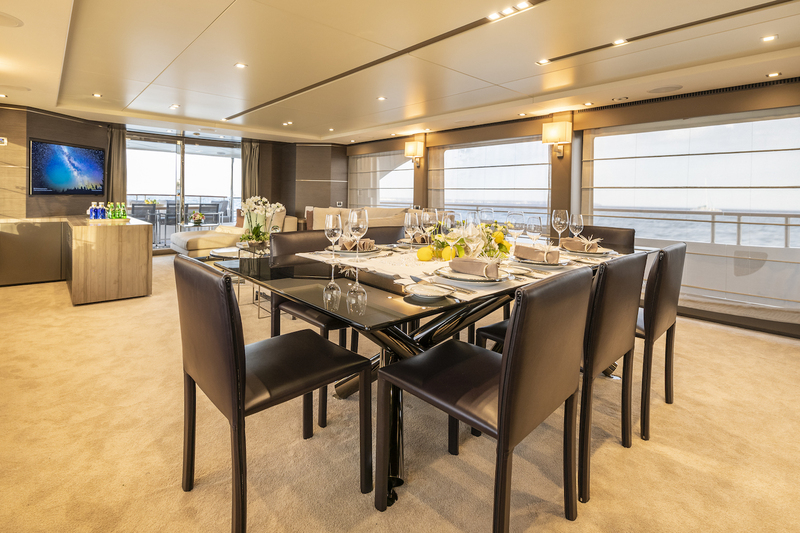 Forward in the main saloon is the formal dining area, followed by the galley, located to port. 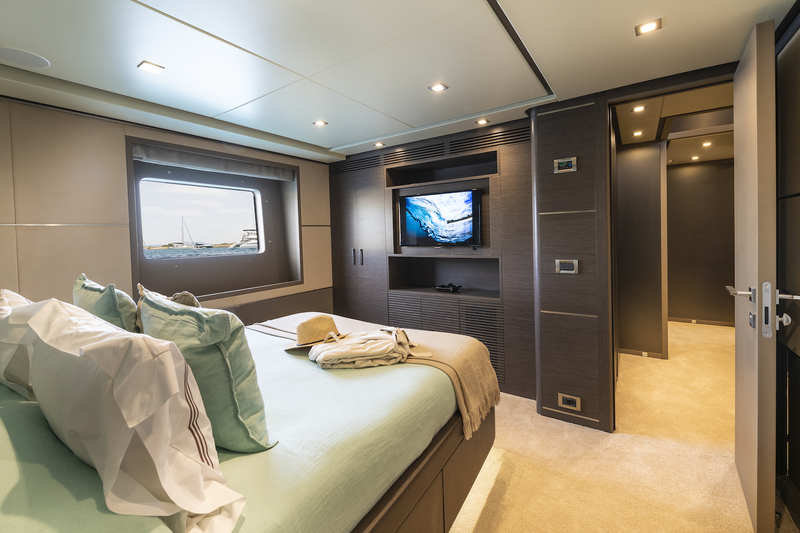 A day head and the entry foyer are located to starboard, amidships. 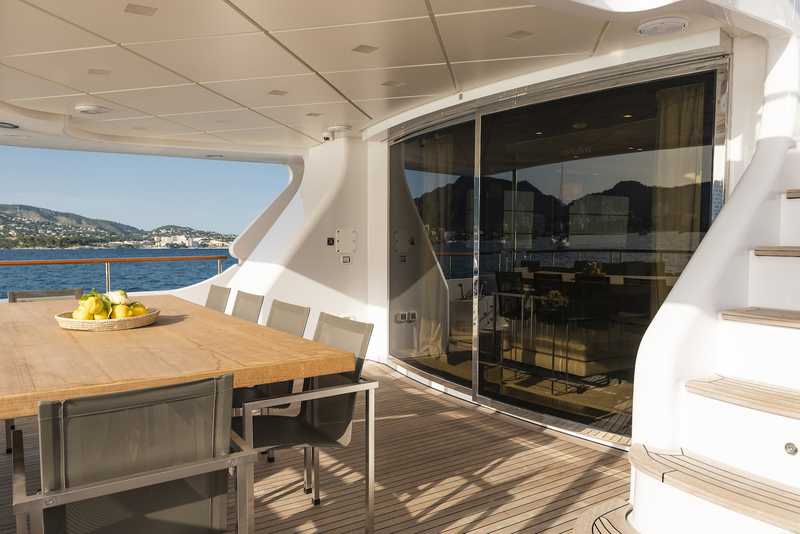 The central staircase leads to the lower deck accommodations and the upper deck. 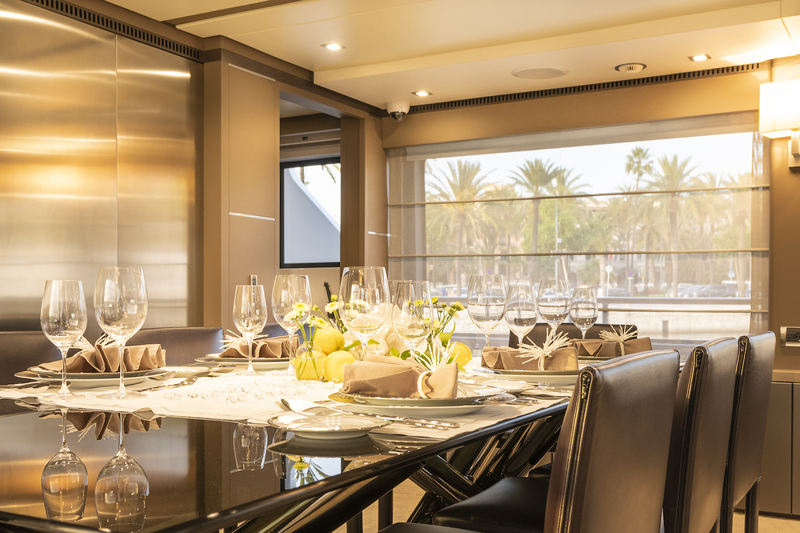 The upper deck features the wheelhouse and a pantry that is used to service the vast aft deck area with a table for up to ten charter guests. 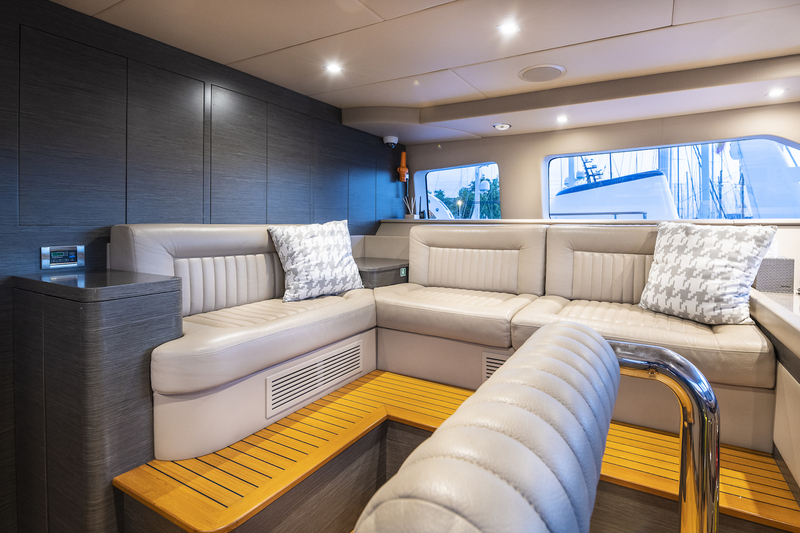 There is also a custom bar to starboard as well as a large seating area aft. 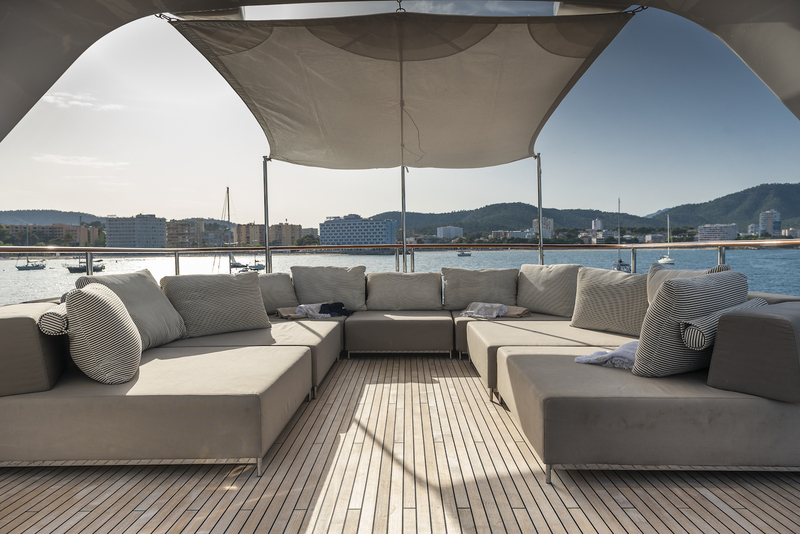 The sun deck boasts an eight-person Jacuzzi which is located forward, together with a sitting area, as well as a helm station to starboard. 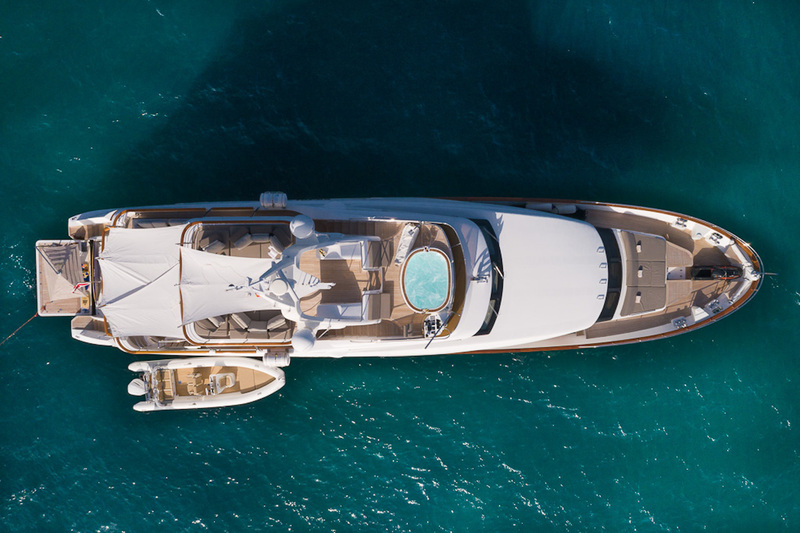 Built to RINA classification society rules and MCA compliant, the 32-metre superyacht ORSO 3 is run by twin Caterpillar C18 1,000hp diesel engines. 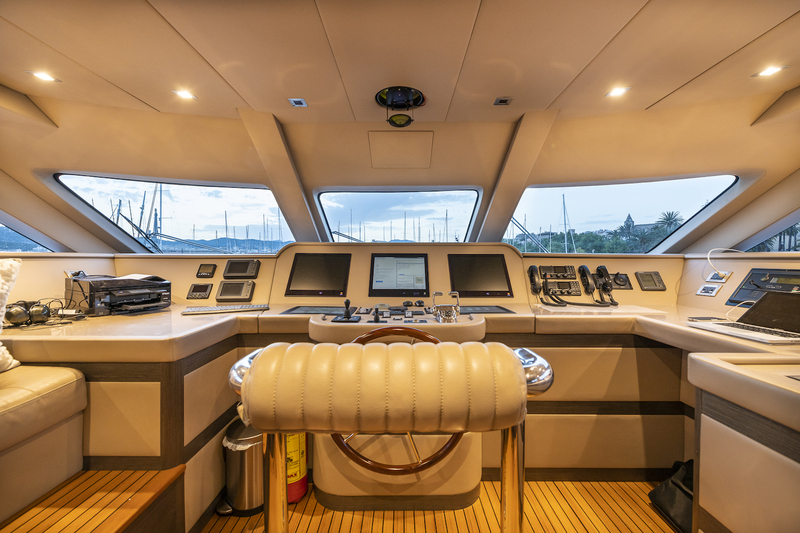 She can achieve a maximum speed of 14 knots and a comfortable cruising speed of 13 knots. 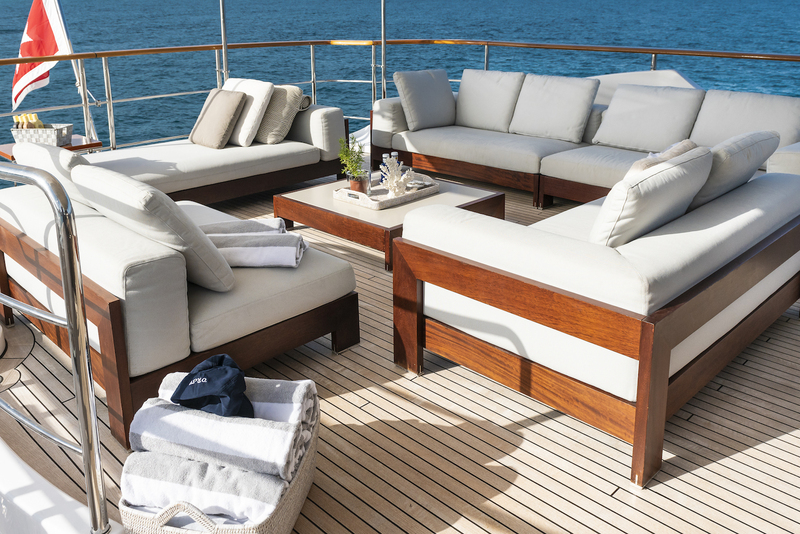 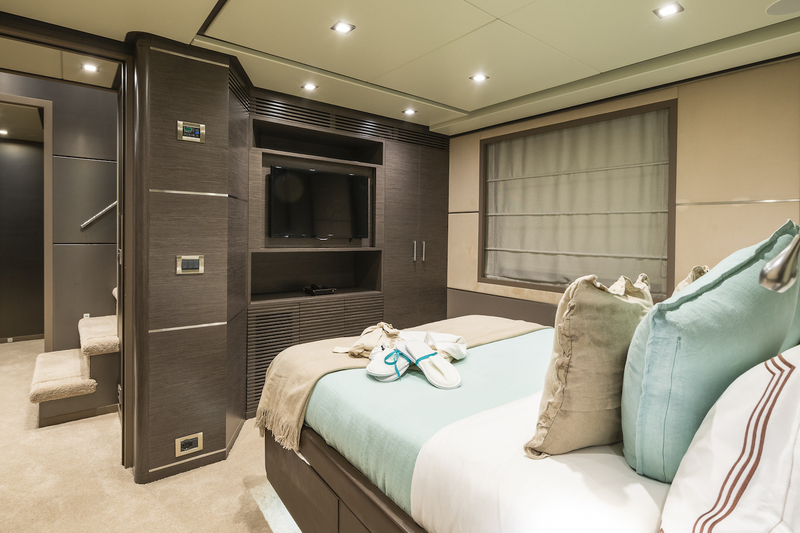 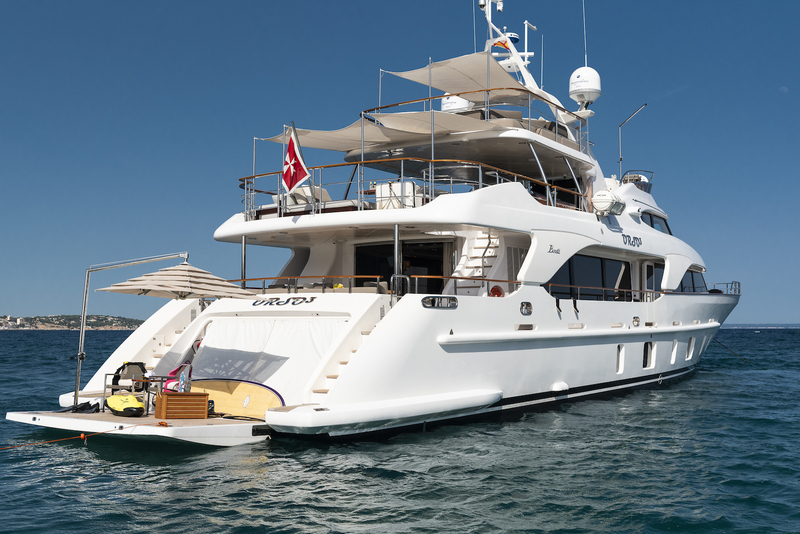 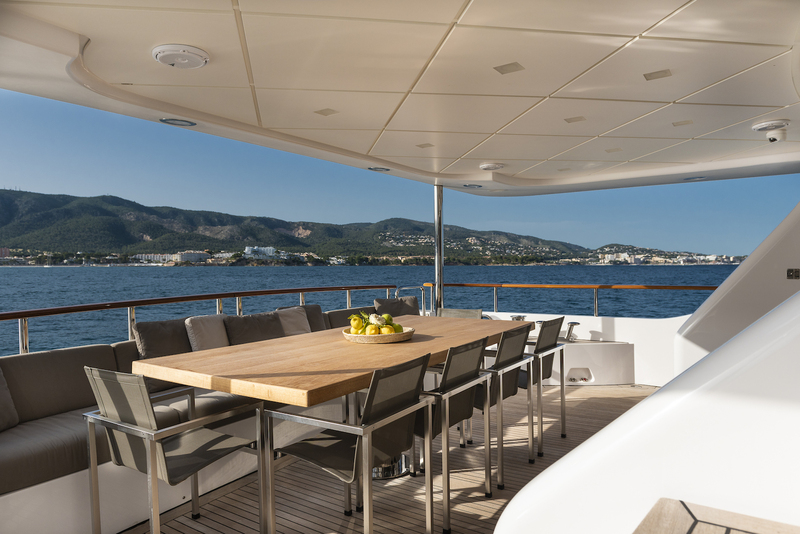 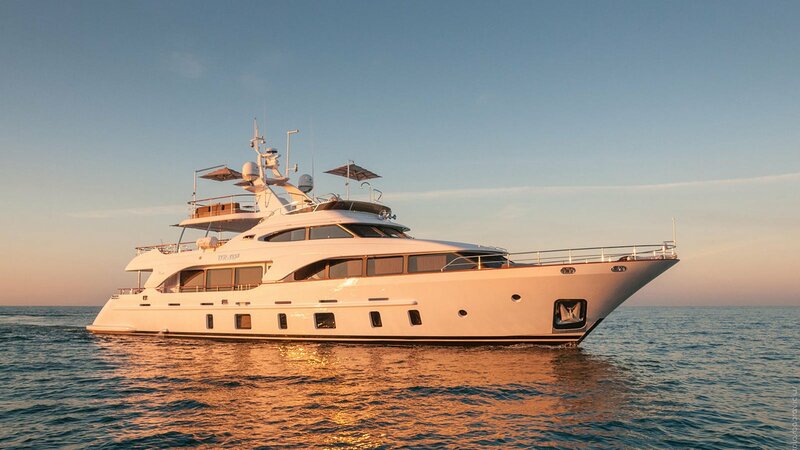 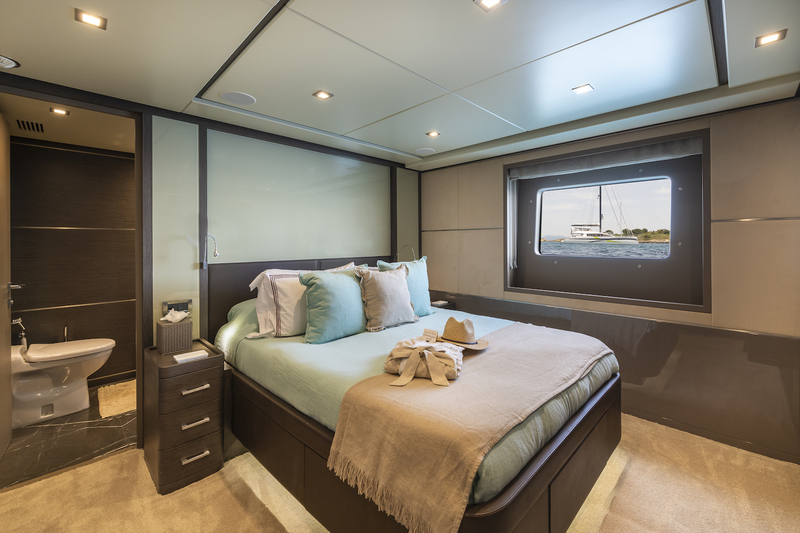 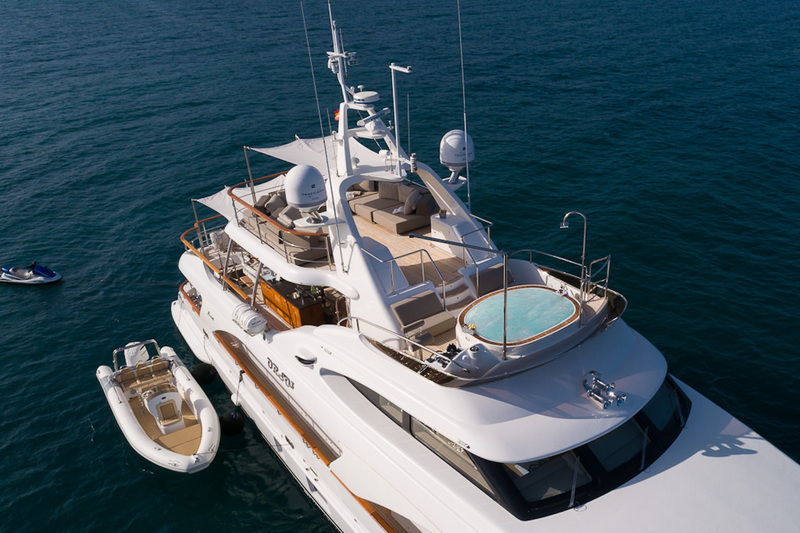 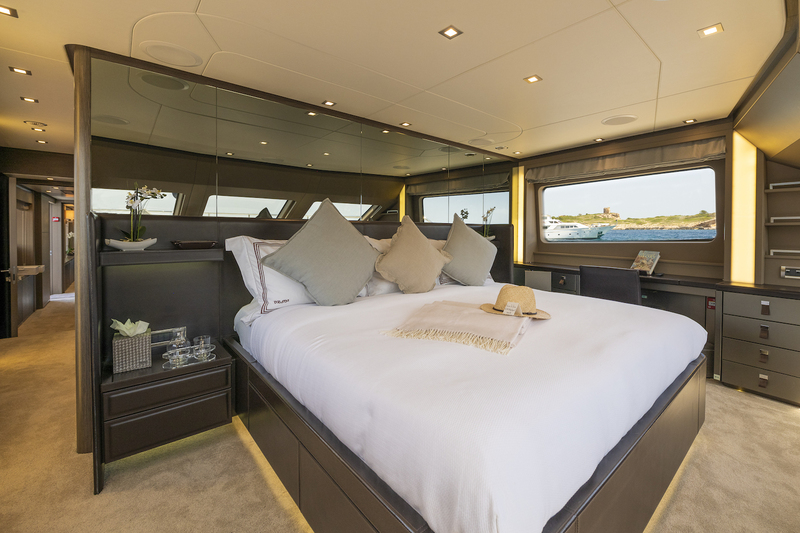 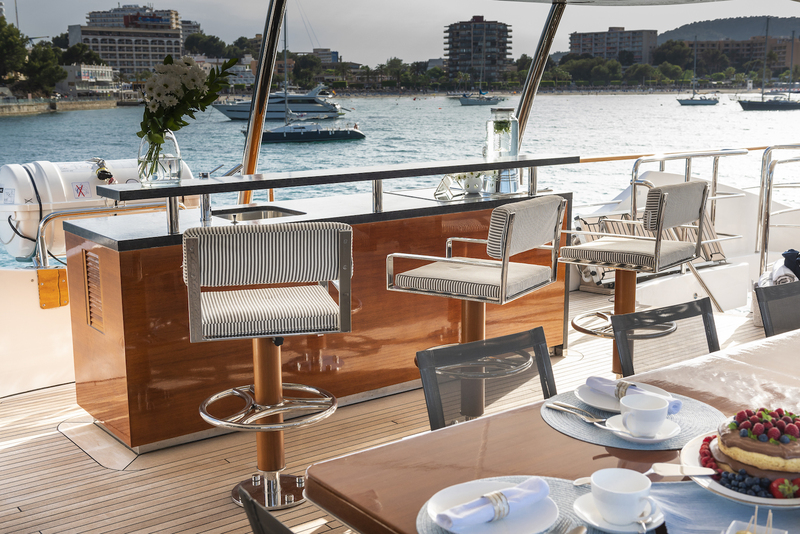 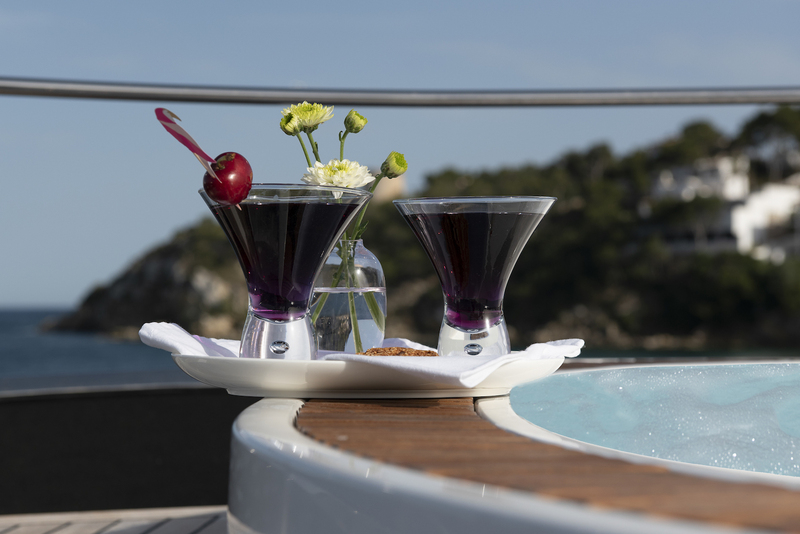 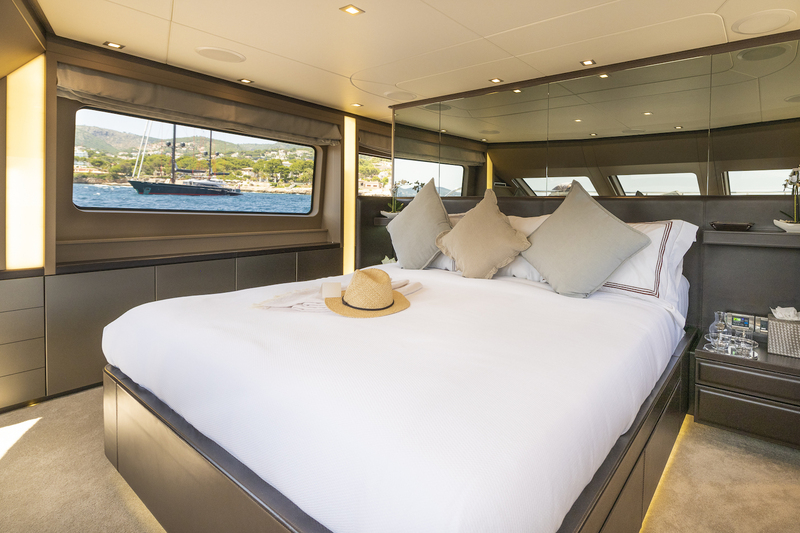 ORSO 3 can accommodate up to 12 guests in supreme comfort. 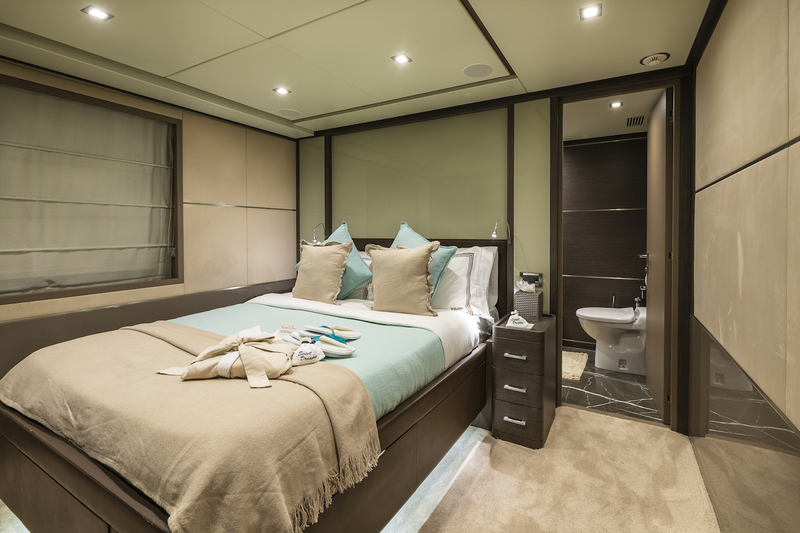 She features 5 magnificent cabins, including a lavish master suite on the main deck, two VIP double cabins and two twins convertible into doubles and both with a Pullman berth. 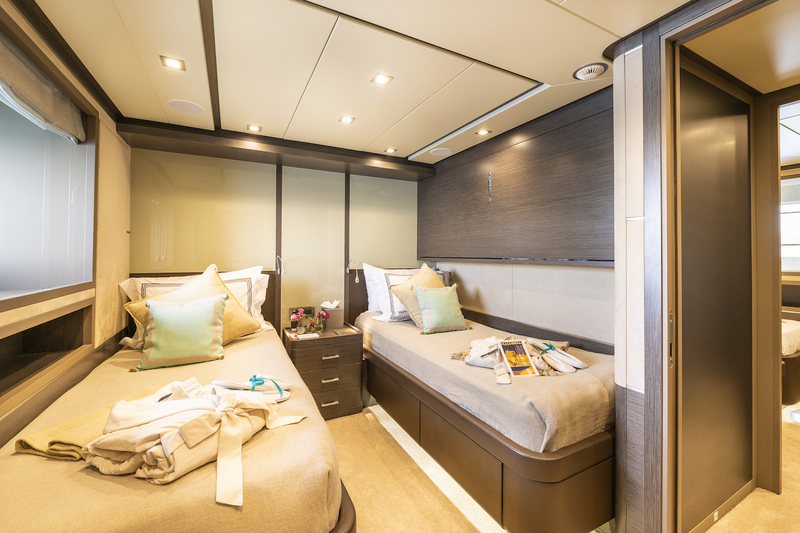 There is also space for an impeccable crew of 6 members in 3 crew cabins.